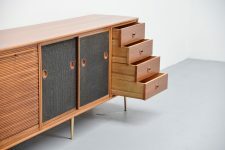 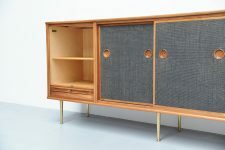 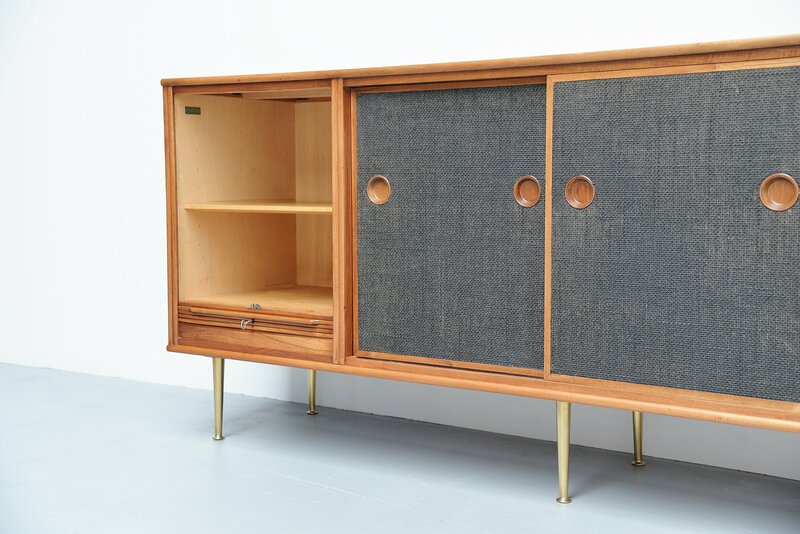 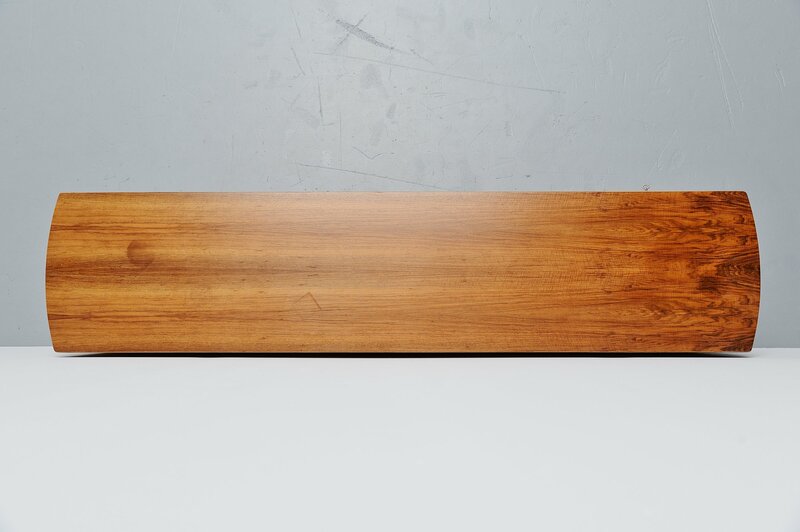 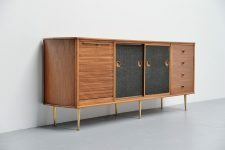 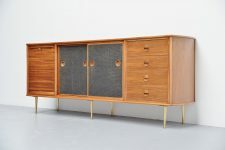 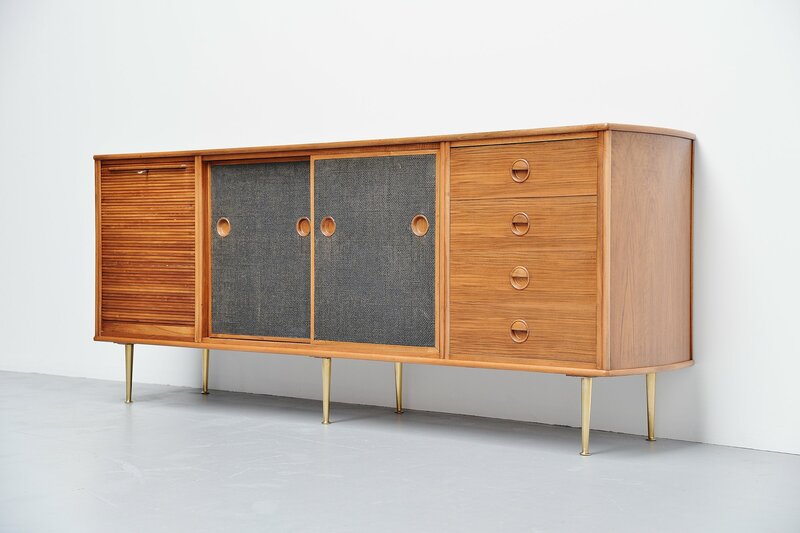 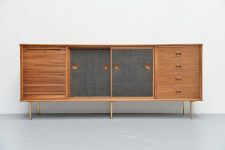 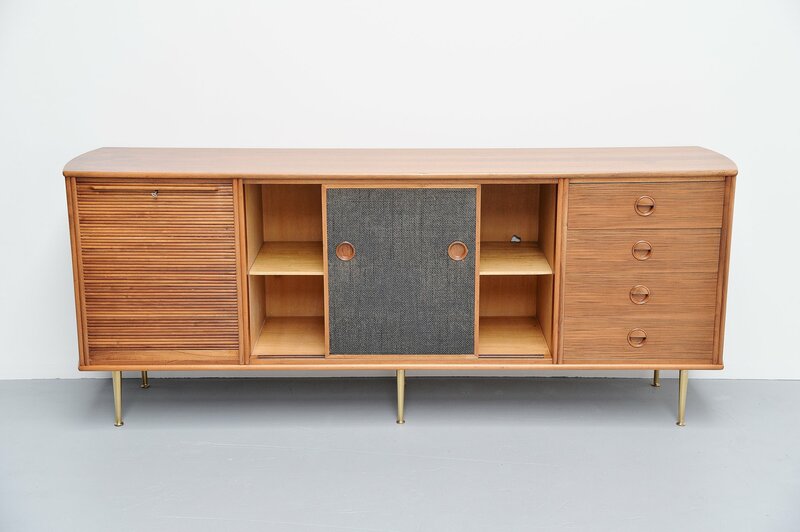 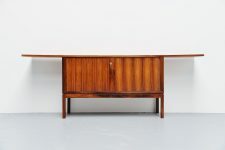 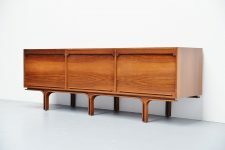 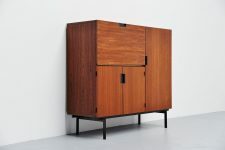 Nicely refined Dutch modern credenza designed by William Watting for Fristho Franeker, Holland 1956. 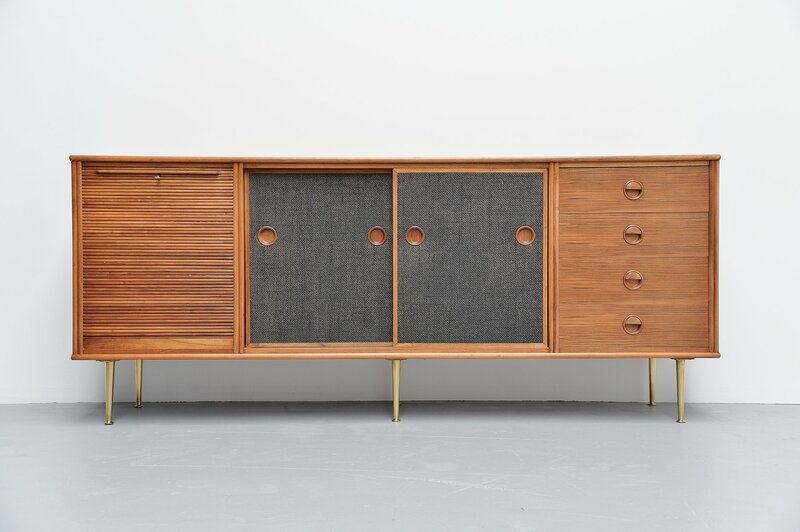 This credenza has a very nice roll top door on the left with a shelve behind, 2 sliding doors with shelves behind in the middle covered with black seagrass and 4 drawers on the right. 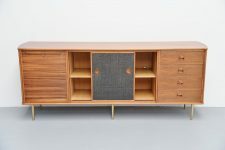 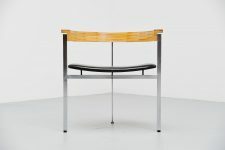 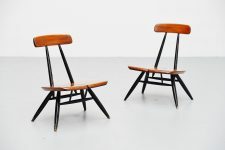 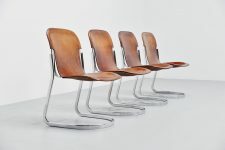 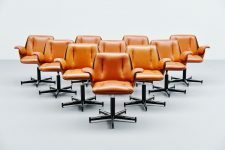 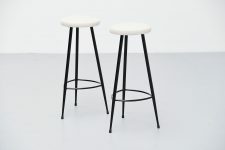 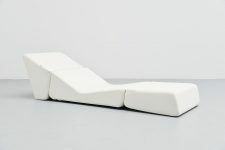 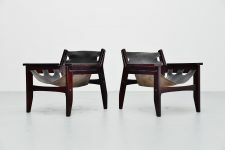 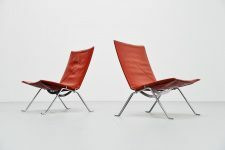 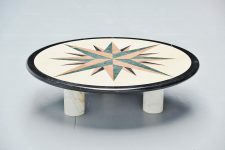 Its made of partial solid walnut wood and veneer. This credenza has brass legs in clean and shiny condition. 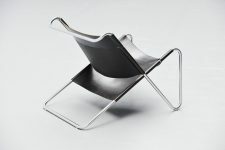 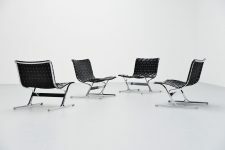 Signed with the metal William Watting design tag on the inside left. 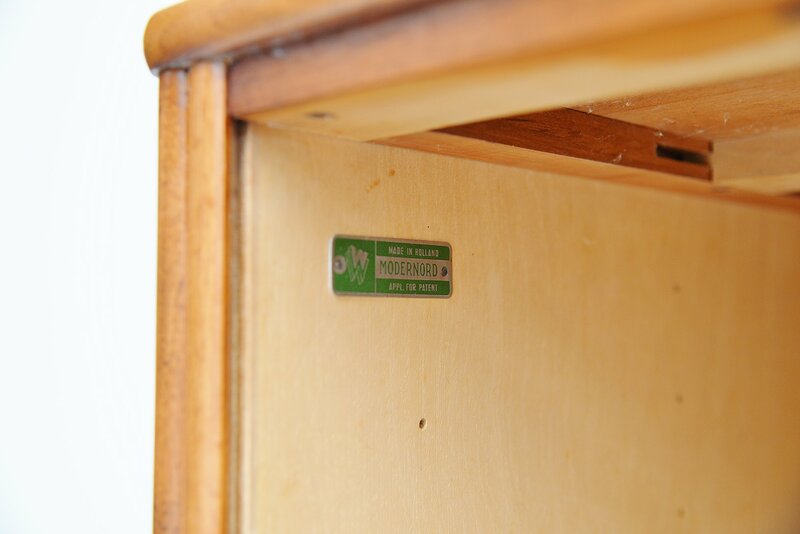 Some minor marks on the top that are normal for a cabinet this age. Overall condition is really amazing.